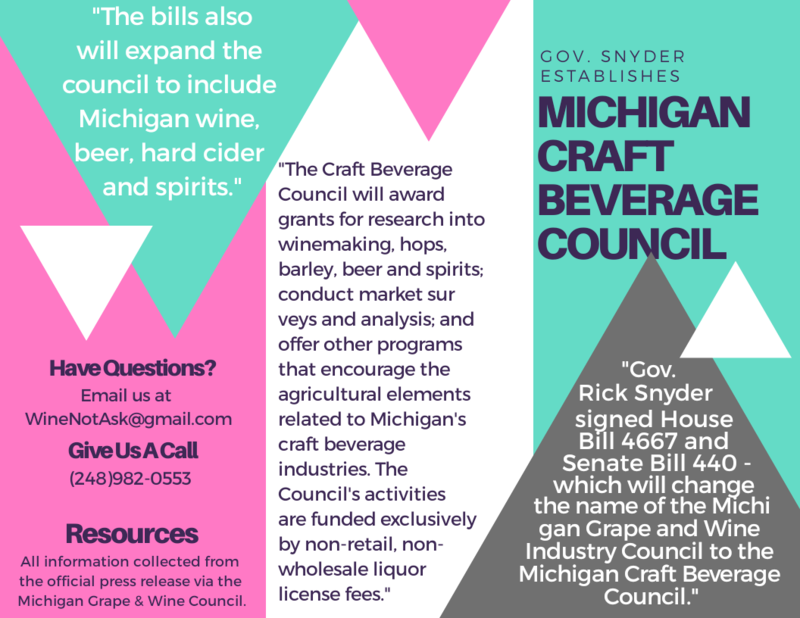 “Pursuant to Public Acts 154 and 155 of 2018, the Michigan Craft Beverage Council will award grants for research into winemaking, hops, barley, beer and spirits; conduct market surveys and analysis; and offer other programs that encourage the agricultural elements related to Michigan’s craft beverage industries. The council’s activities are funded exclusively by non-retail, non-wholesale liquor license fees. Rosalind Mayberry of Grand Haven is the wine buyer and consultant/educator for D&W Fresh Market. Mayberry has been studying wine for more than 50 years and has judged wine in France and the United States. She also is a judge at the Michigan Wine Competition and an adjunct faculty member of the Culinary Institute of Baker College in Muskegon where she developed and taught the wine program in Food and Beverage Management. Mayberry holds a master’s and bachelor’s degree from Cornell University. She will serve as the representative of retail food establishments that hold a specifically designated merchant license and sell Michigan wines or beer. Zachary Owen of Temperance is the vice president of Temperance Distilling. Owen holds a bachelor’s degree in mechanical engineering from the University of Toledo. He will serve as the representative of distillers that manufacture more than 60,000 gallons of spirits per year. Jim Holton of Mount Pleasant is the owner of Mountain Town Brewing Company & Steakhouse, Camille’s on the River, and Alma Brewing Co. and was one of the first to hold a micro brewer license in the state of Michigan. He is a former mayor of Mount Pleasant, was a city commissioner for the city of Mount Pleasant and is currently the chair of the Michigan Restaurant Association. Holton holds a bachelor’s degree in science economics and business administration from Central Michigan University and will serve as a representative of restaurants that hold a Class C license and serve Michigan wines, beer or sprits. Brian Lesperance of Fennville is the vice president of Fenn Valley Vineyards where he is responsible for running all daily operations. Prior to entering the wine industry, he was the marketing director of TechSmith Corp. Lesperance holds a bachelor’s degree in marketing from Michigan State University’s Eli Broad College of Business and will serve as the representative of wine makers. Michael Beck of St. Johns is the president of Uncle John’s Cider Mill, Inc. 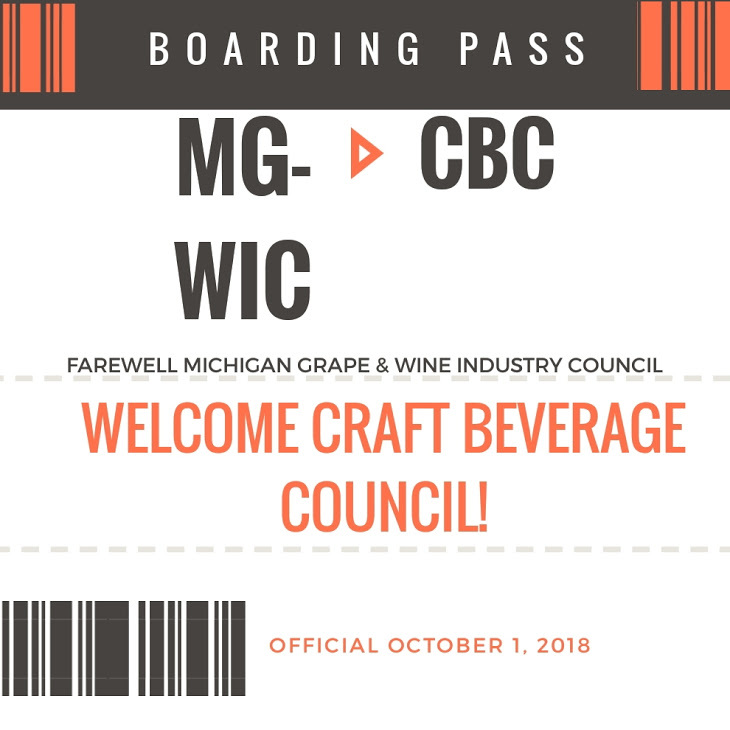 He is the founder and current president of the Michigan Wine Producers Association and is the founder and current chair of CiderCon, the industry’s educational and trade show opportunity. Beck holds a bachelor’s degree in Architecture from Ferris State University and will serve as the representative of wine makers that primarily manufacture cider. Richard Anderson of Thompsonville is the owner and spirits operations officer for Iron Fish Distillery. Previously, he was an independent consultant on strategy, community change and business development and technology commercialization. Anderson holds a bachelor’s degree in Urban Planning from Michigan State University and a master’s degree from Northern Michigan University. He will serve as the representative of small distillers. To view this press release Click Here!